BRISTOL - His weapon of choice - the mighty "apostrophiser", a broom handle laden with two sponges and stickers. And the bad guys? Badly punctuated shop signs that "offend" his pedantic nature. Bristol's very own vigilante - under the cover of darkness - has been on the job for 13 years, correcting dozens of signs with missing or misplaced apostrophes across the scenic city in south-west England. The self-styled "grammar vigilante", who has yet to be identified, was featured in a BBC video on Monday (April 3) and said that he pursues a worthy cause. He purportedly visits different high streets every night to stamp his mark on signs that bother him. 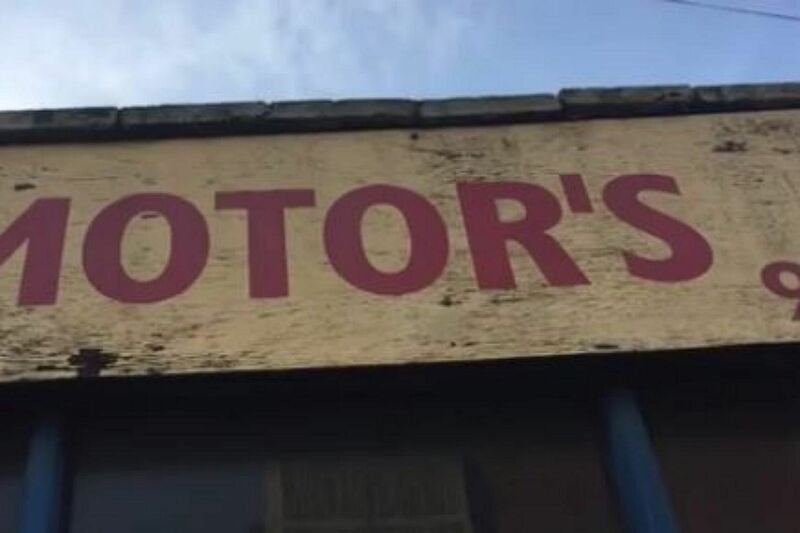 One of his most recent corrections was to Cambridge Motors' garage, where an errant apostrophe had irked him for years. He had tried to rectify a different sign at the shop two years ago but was caught in the act. Speaking to the Telegraph, the garage's manager Paul described the vigilante as a "middle-aged bloke who obviously lives locally and it's just his pastime". But while he has his fair share of supporters, detractors have hit out at his crusade. Another shop, tailor Tux & Tails, suffered the wrath of the apostrophiser - in the form of two blobs of paint that corrected the omission of an apostrophe in "Gentlemens". Owner Jason Singh complained that the blobs did not match with the sign's newly fitted vinyl, and claimed that it would take a few thousand pounds to replace the sign. "I think it could be considered rather rude. I think there might even be grounds for a police complaint, and if his name is revealed, I'll be sending him an invoice for the damages," Mr Singh said. When contacted by the British media, the local police said it was not aware of any complaints lodged against the vigilante, but said any permanent damage caused could provide grounds for police intervention.